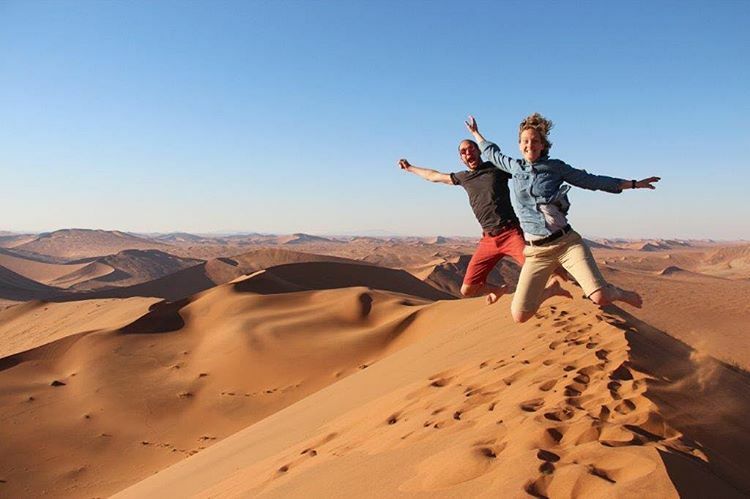 Adventuring together for years, this Belgian couple decided to take their travels to the next level. 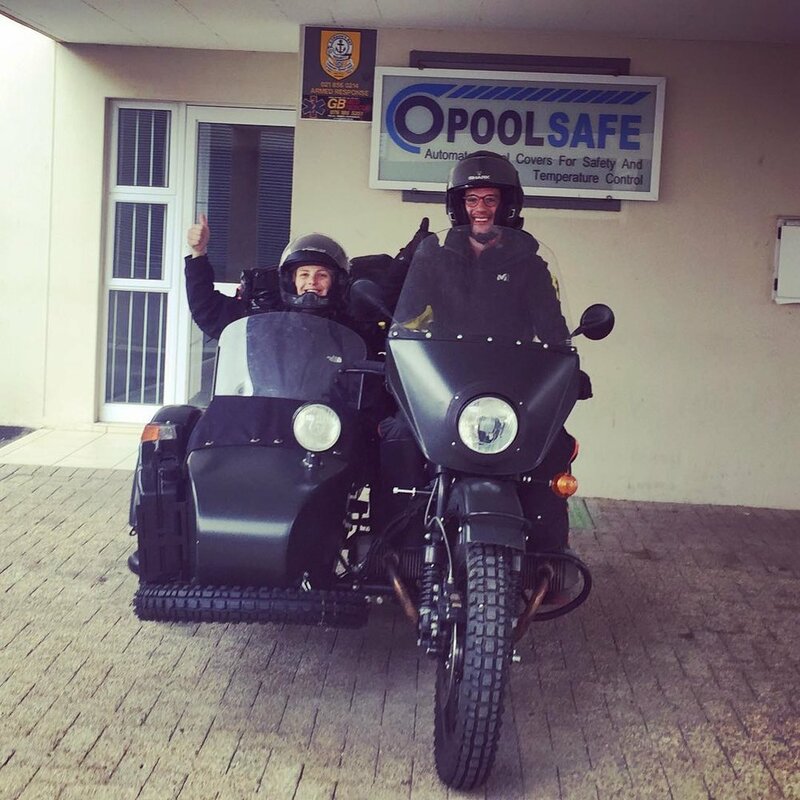 They decided to ship their Ural Gear Up to Cape Town South Africa and ride over 10,000km up the Western Coast to Dakar. Let the adventure begin! Packing prep for months on the road. Bike being crated and prepped to ship from Belgium to Cape Town. Their last photo at home before heading off. Bike arrived safe and sound, now let's ride! Field breakfast, the sidecar makes for the perfect prep area while off the grid. Gas stop at the local village. UDF (Ural Delay Factor) is very real, especially when traveling abroad :) Prepare for the occasional crowds! To make their way up the Congo River they hitched a ride with the local fishermen. Upon arrival they realized there was no crane available to unload their bike. The boat crew quickly jumped to action and had the bike back on solid ground in record time. 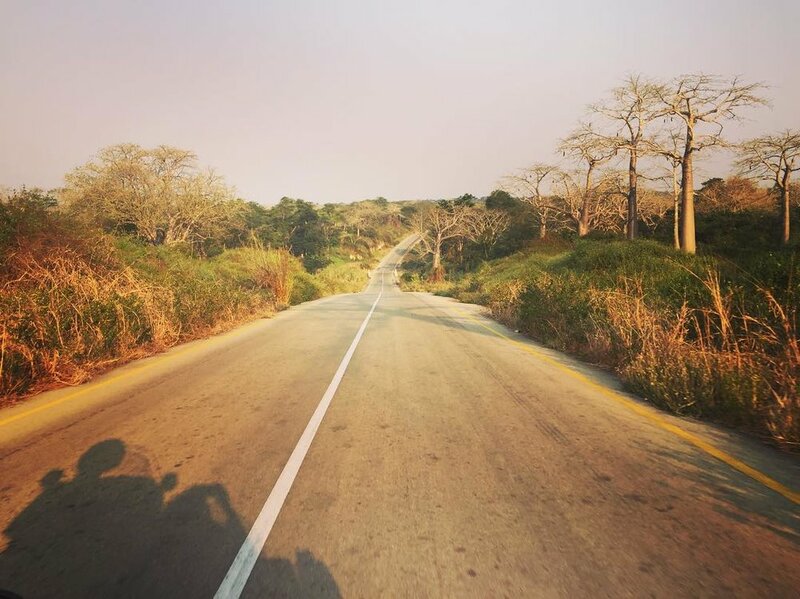 The Gear Up's on-demand 2 wheel drive was perfect for the African roads and mountain trails. All smiles after finding a quick detour! Success! 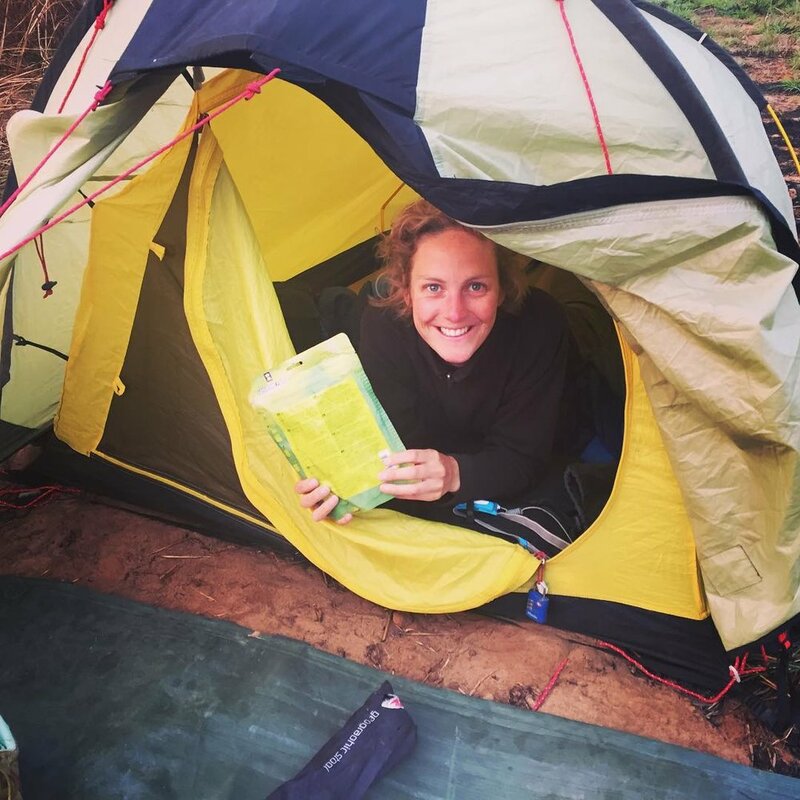 After nearly 4 months on the road they successfully pulled into Dakar. Their bike traveled over 10,000km (6,000 miles), most of them off-road through every type of terrain imaginable. Lena and Kristina loaded up their Gear Up and hit the road to explore California. They rode from Los Angeles, up the Pacific Coast Highway to explore Redwoods National Park. "See those happy faces enjoying one of the top 30 drives in the US? That's about an hour before we realized I left the backpack open on the back of the bike and lost a camera bag containing half of the trip's shots. At least we have this...and our memories :)"
Entering Redwoods National Park! Established in 1968 the park is over 100,000 acres with the average Redwood tree being over 300 ft. tall! Sidekick Odin, standing guard & waiting for a bite of roadside turkey sandwiches. Trinidad, CA, an awesome beach town to AirBNB it then head off for daily adventures in Redwoods National Park & the Lost Coast! "The town is small, clean, friendly, fairly priced, not crowded, and has super tasty places to grab lunch!" We can never resist road side puddles in National Parks!